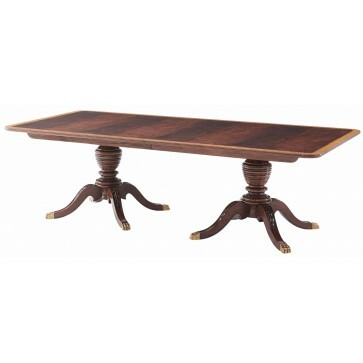 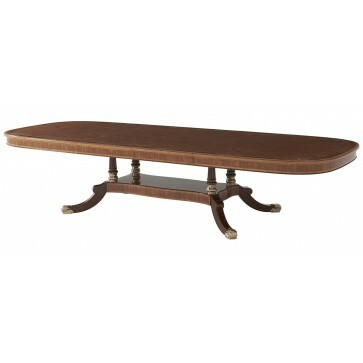 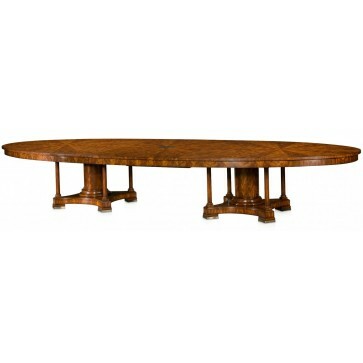 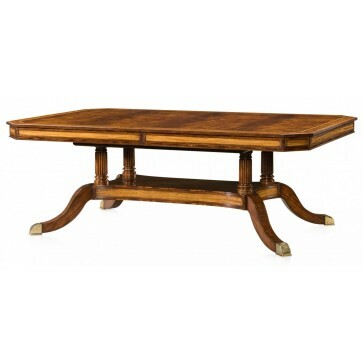 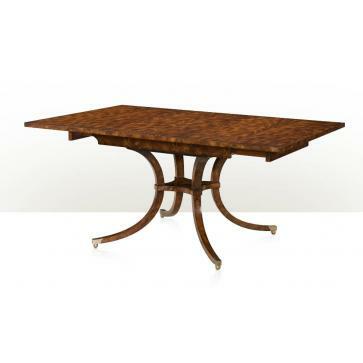 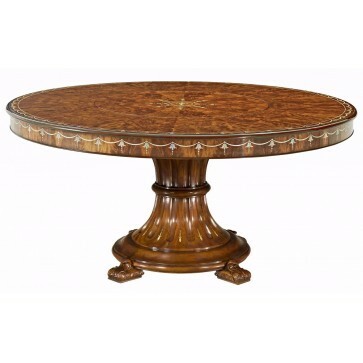 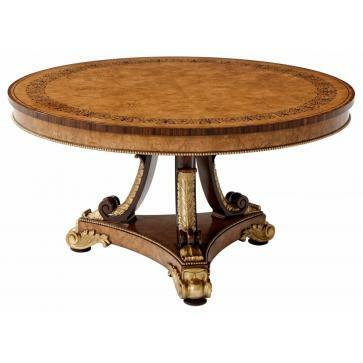 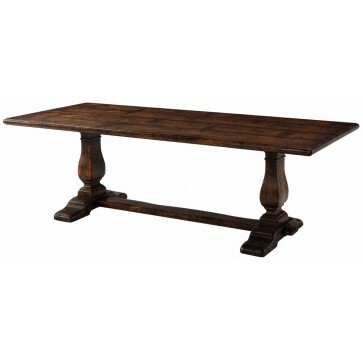 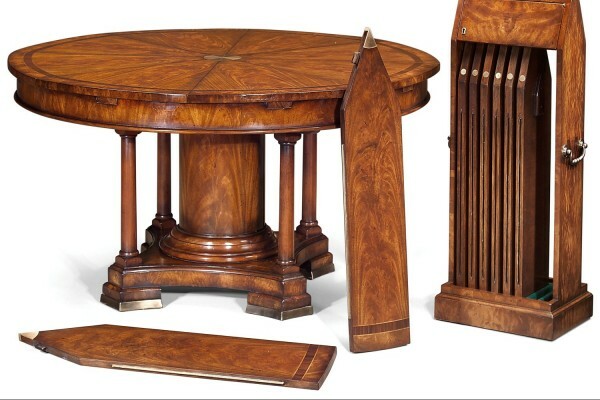 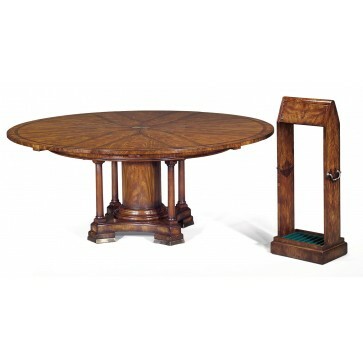 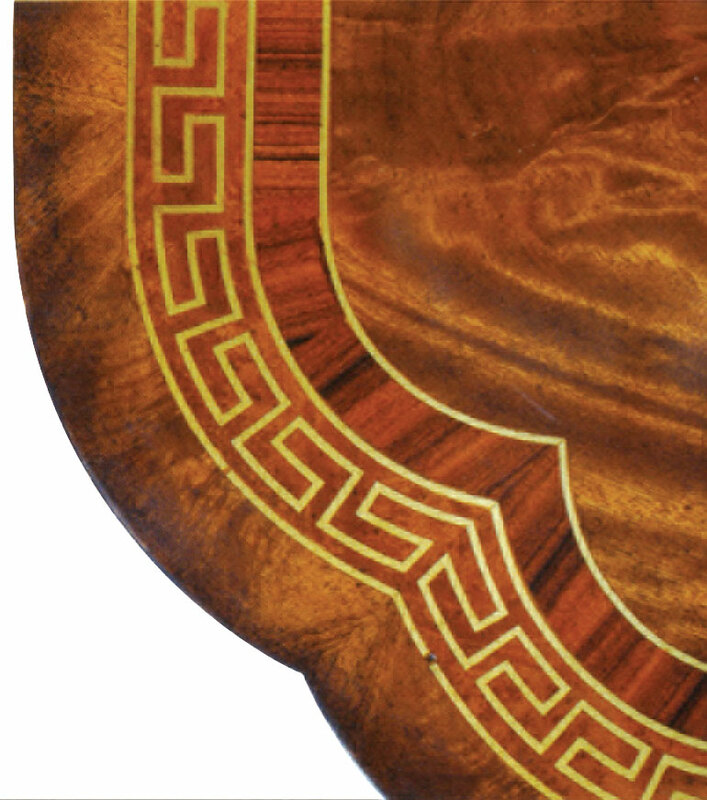 A fine hand made extending Regency style dining table in a combination of solid and perfectly matched mahogany veneers, crossbanded in rosewood and burl with a finely hand inlaid brass Greek key pattern border. 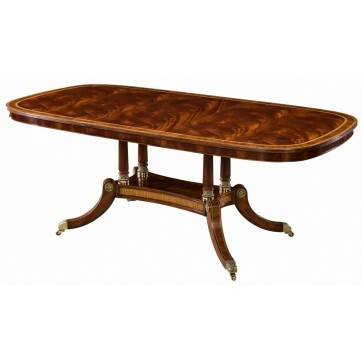 A fine hand made extending Regency style dining table in a combination of solid and perfectly matched mahogany veneers, crossbanded in rosewood and burl with a finely hand inlaid brass Greek key pattern border. 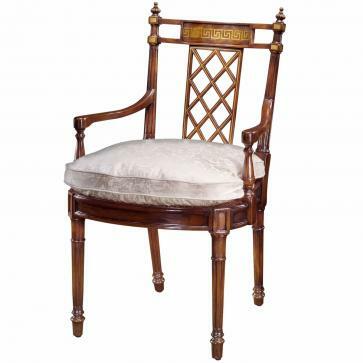 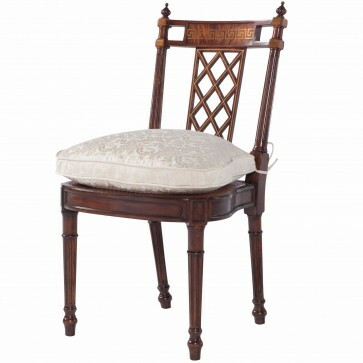 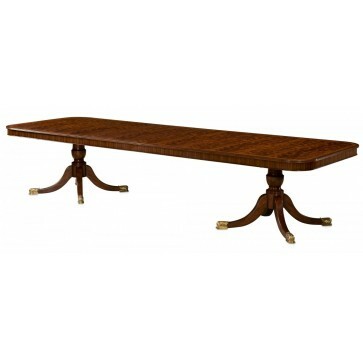 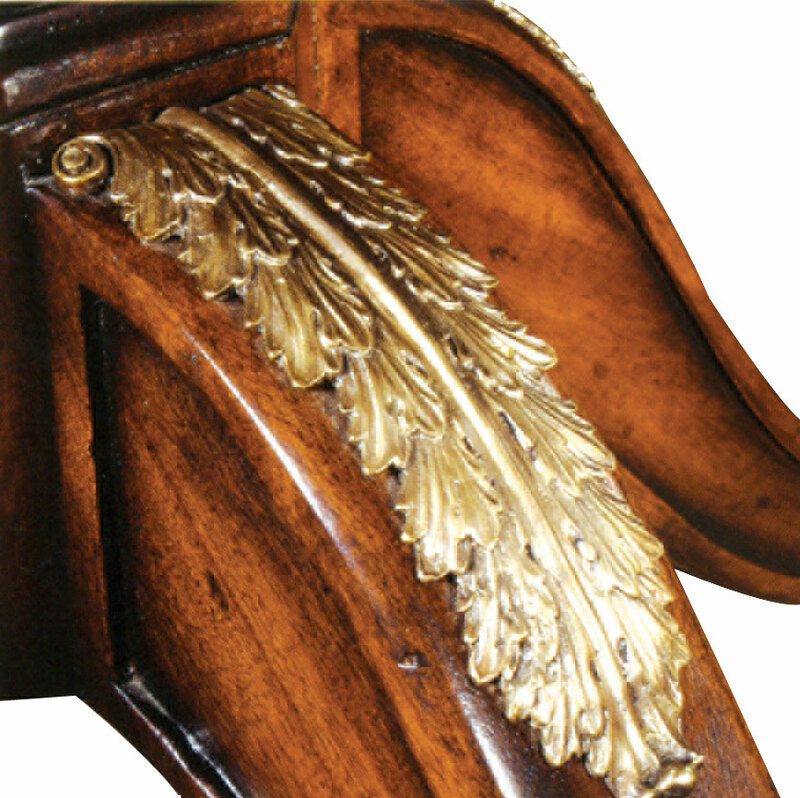 The top has re-entrant corners and sits on octagonal column supports issuing finely cast brass mounted downswept legs terminating in acanthus scroll brass feet.